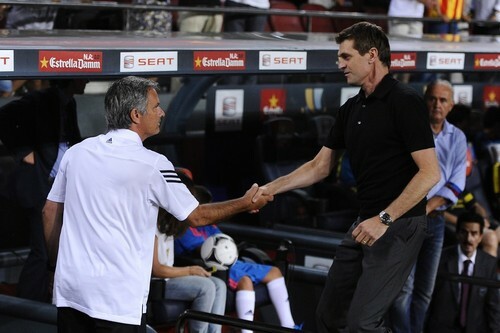 Six rounds into the Spanish league season and its most defining fixture is upon us already. Despite the 2012-13 La Liga season being in its formative stage, its importance has escalated in the face of the polarising league form of the two combatants – Barcelona and Real Madrid. Barca’s scintillating early season form demonstrates the prudence of continuity at a club so steeped in traditional values and footballing philosophy; Més que un club. The crisis that seemed inevitable to engulf the club as Pep Guardiola stood down has been transposed into a smooth transition. A root and branch upheaval was not required over the close season, just trimming around the edges. The acquisition of Spanish left-back Jordi Alba provided the trimming and their early-season form is a testament to the continuity of philosophy – six league games, six league wins with 17 goals scored in the process. As ever, the statistics that so many on the blogosphere cherish, illustrate this point; under Vilanova Barcelona have so far completed an average of 696.8 passes per game, compared to 709 last season, with completion at 88.6% compared to 88.5%. They have scored 2.86 per game against 3.0 last season and taken 12.2 shots compared to 13.0. Vilanova has not just inherited one of the best club sides in football history, but one that is so attuned to its own philosophy and principles, playing at the pinnacle of their game. Vilanova has also introduced a few tweaks to Barca’s possession-style of play. They appear to be more direct than they were under Guardiola, perhaps a recognition of how their tiki-taka system came unstuck last season, particularly in the Champions League Semi against Chelsea. As laudable as Barca’s ‘Plan A’ is, their dearth of fall-back plans last season cost them two trophies. 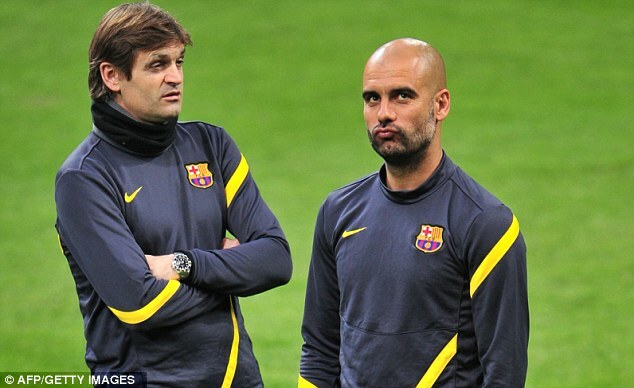 These are not dramatic overhauls of style, but a subtle refinement that has introduced added incisiveness – the percentage of their passes played in or into the final third lies at 36.8% so far under Vilanova, against 30.2% under Guardiola last season. Given the transition that has occurred in the capital of Catalunya, one could be forgiven for thinking that Vilanova would approach Sunday’s fixture with trepidation and his side under pressure. The pressure from the Spanish media, however, is applied squarely towards the Spanish capital, and the door of Jose Mourinho. The Spanish Champions lie 8 points behind their arch-rivals. Were Barca to open up an 11 point gap on Sunday evening it would be permissible to argue that the title race will turn into a title procession. Real appear to be suffering a hangover from their exertions in overhauling their rivals to the title last season. Two defeats in their first 6 games has been compounded by star player Cristiano Ronaldo publicising his own disaffection with the lethargy surrounding their early-season performances. Thankfully for Los Merengues Ronaldo has rediscovered his on-field form and has fired consecutive hat-tricks against Deportivo La Coruña and in the Champions League against Ajax; 12 goals in total so far this season, 2 more than his Barcelona rival, Lionel Messi. In the title-decider at the Nou Camp in April the Portuguese international proved the difference and he will, as ever, be desperate to outshine his Argentine nemesis. 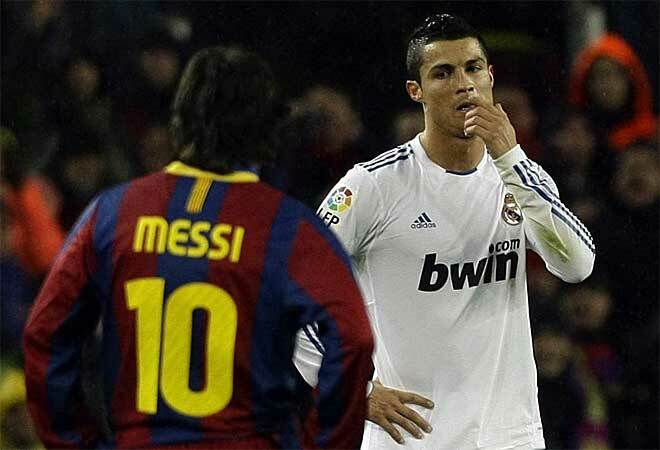 Though El Clásico may be poorer for Guardiola’s departure there remains the greatest on-field rivalry of its generation, the battle of the two false nines; the flamboyant extrovert vs the humble introvert, Portugal vs Argentina, Ronaldo vs Messi. The two World Player of the Year winners provide the physical embodiment of an intense club rivalry that has gone through the stratosphere in the last 3 years. Any attempt to stress the merits of one over the other would require a thesis, but to evaluate their influence on this grand fixture in the recent past is enlightening. In this department, Messi outstrips his rival. Whilst Ronaldo may have struck the decisive goal back in April, he only has 8 goals in El Clásico compared to Messi’s 15, although 6 of which were struck before Ronaldo’s arrival to La Liga in 2009. Despite the excellent start that Vilanova has made to life in the Barca hot-seat, the true test of his managerial aptitude will come in times of adversity. If the goals for Messi dry up, if the telepathic understanding between Xavi, Iniesta and Fabregas breaks down, if the make-shift defensive pairing of Javier Mascherano and Alex Song proves leaky, Vilanova’s skills will be tested to the full against the backdrop of a passionate, partisan and unforgiving Catalan media. This entry was posted in Analysis and opinion and tagged barcelona, el clasico, guardiola, messi, mourinho, real madrid, ronaldo, vilanova by James Dutton. Bookmark the permalink.